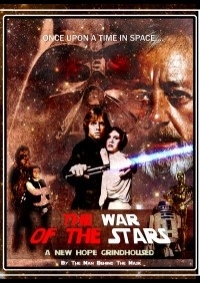 THE WAR OF THE STARS is FANEDIT of the YEAR 2010 at FANEDIT.ORG! After the success of JAWS the Sharksploitation edit: fanedit of the year 2009, my second grindhouse edit just won the same award at fanedit.org. I'd like to thank the jury and all the cool folks at fanedit.org and originaltrilogy.com who helped me in the making of this edit. First of them: Puggo, for his great 16mm preservation work of Star Wars, known as the Puggo Grande.